How long have you been a part of the Steam Whistle / GBF family? Nancy: I’ve been here for 19 years. Almost since day one! What is your position at Steam Whistle? How long have you been in your role of Office Manager? Nancy: 13 years. I started working on the bottling line and moved my way on up! Can you describe your role of Office Manager? Nancy: I take care of everybody. 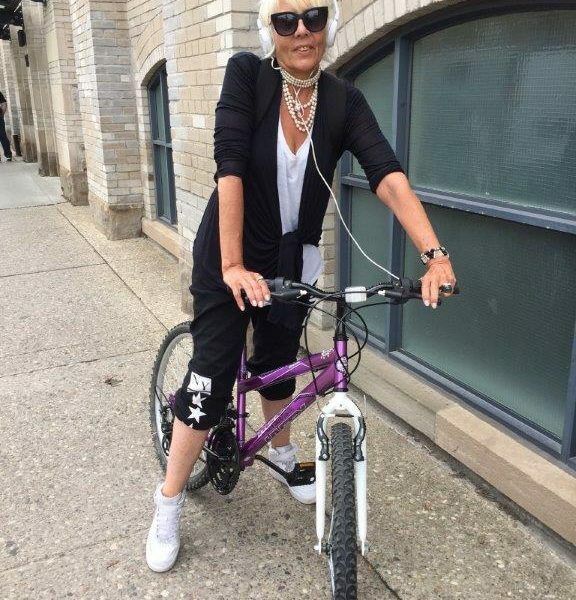 Whatever anyone needs, I get it done with great pleasure. From answering the phones of love, packing up beer to be mailed out, or ordering exotic sushi. Every day is different but every day we’re hustling. I make this place run in an efficient manner! How has your role evolved since you first started? Nancy: With age comes wisdom. The most enjoyable part of my role is being able to provide people from all around the world with a positive and memorable Steam Whistle experience. Any one that phones into our cathedral of beer I have the chance to talk to. Whether our phone call is ten seconds or ten minutes, I have the power to make them feel like a rock star and a valued customer. That’s special. Were you always interested in the brewing industry (or) why did you apply at Steam Whistle? Nancy: Well I wasn’t interested in the brewing industry actually. I was more so attracted to the culture and the people and I wanted to be part of that culture. What’s come out of that is my incredible devotion to everything surrounding Steam Whistle. I now LOVE this industry and I’ve learned so much. The truth is I worked for Frank Heaps (Cam Heaps Co-Founder of Steam Whistle’s Father) back at Upper Canada Brewery as a garment supplier. I was so attracted to the Heaps family and the family environment they created for their staff. They were so inclusive and made coming in to work every day an absolute honor. I knew from day one I wanted to have a part in it. If you had to choose, what would be your favorite aspect about coming in to work at the brewery? Nancy: The positivity and happiness that shines through the whole building. I’m still as happy and excited to be at work as I was my first day coming in. It’s so awesome here. I LOVE IT SO MUCH. It’s literally impossible for me not to be in a good mood here because people are so happy over the phone. How would you describe ‘Pure Pilsner’? Nancy: Pure Pilsner is the level of care that we take in to producing our product. We have as many beer scientists as line workers. 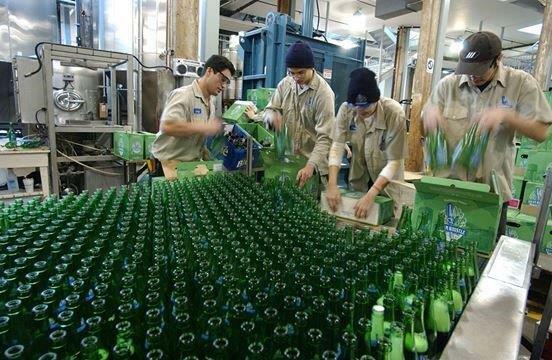 We put a huge effort into the quality of Steam Whistle. We are GMO free with no artificial ingredients. We just have the four all natural ones and that’s what makes us unique and ‘pure’. I am particularly proud of how we source our ingredients to make sure they’re top notch quality. What makes Steam Whistle stand out as a brand? Nancy: First and foremost, we are independently owned and we are Canadian. We have a great sense of pride as an organization. Steam Whistle has the Canadian maple leaf on our bottles and cans because we want the country to know what makes us unique and iconic. We are a true influencer in the trade. 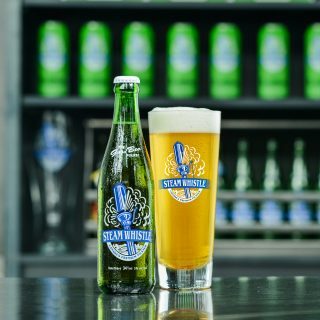 What’s a Steam Whistle initiative that means a lot to you? Nancy: I’m proud of how much effort we put into our green initiatives. For example, recycling of our bottles. We are the greenest brewery in Canada and second greenest in North America because of our diligence with this. That is unbelievable. Is it true when people say the Steam Whistle culture is contagious? Nancy: Definitely. It’s totally infectious. I witness it first hand on a daily basis when the brewery tours come through the office and I get to meet the wonderful people who are visiting the Roundhouse. Many people on the tours will say things such as “how do I get a job like yours?” or “if only I worked here!” These comments give me so much perspective. I feel so grateful to work in such a special place. What is one word you could use to describe your work experience at Steam Whistle? Nancy: It has been a REGAL experience. Top flight. Why Do We Date Code Our Beer? Freshness is paramount to us at Steam Whistle Brewing. We take special care to make sure the beer you drink is always fresh & delicious. 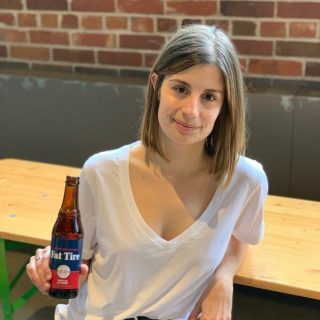 Learn more about the Assistant Brand Manager of Fat Tire, Emily Boileau.